Create a new Power BI Desktop file. 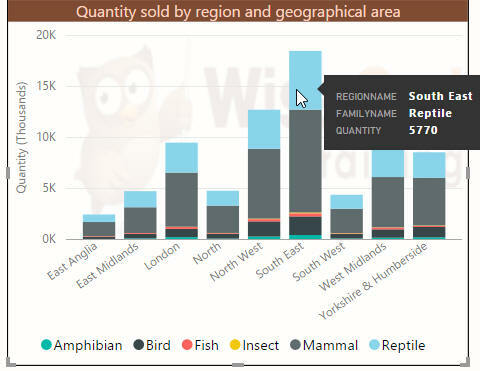 A chart showing total quantity sold by region, for each family. Feel free to download your own image for the background! 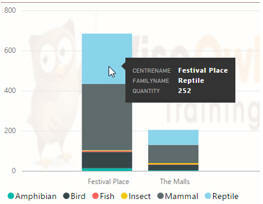 Set the trend axis for the KPI to be the purchase date year. 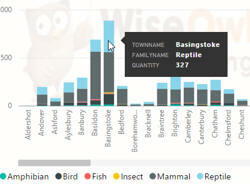 Clicking on the bar for South-East Reptile sales updates the gauge and card, but has no effect on the centre visualisation (the card). 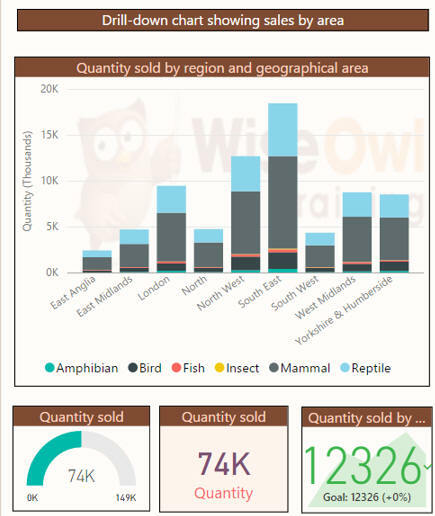 Save this as Beginning to love PBD, then close down this instance of Power BI Desktop.